Tankless Water Heaters are the green wave of the future...HERE today!!! Tankless water heaters, which are also commonly referred to as “On-Demand” water heaters, are already extremely popular in Europe and Japan and are rapidly becoming more widely accepted in the US. They have several advantages over traditional water heaters and we recommend them to most homeowner in the Boston area. These types of water heaters are much more efficient and they conserve resources and energy. Our professional Boston plumbers will install them promptly and professionally in your home. The professionals at McMahon Plumbing & Heating can help you decide if a Tankless water heater is right for your home. We will help you find the most energy efficient option for your budget. 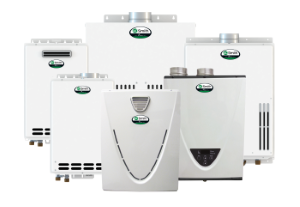 We carry the best selection of quality, Tankless hot water heaters from brands such as A.O. Smith, Rinnai, and more. 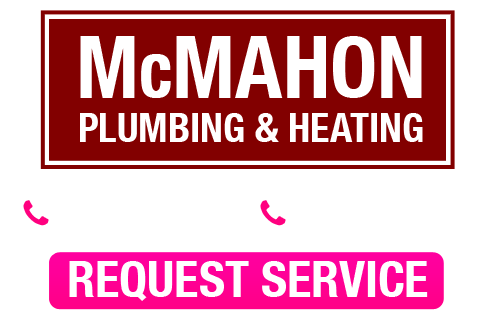 If you are interested in Tankless water heaters in Boston, or need repairs for an existing unit, don't hesitate to give McMahon Plumbing & Heating a call today. We'll be happy to provide you with an estimate and reliable plumbing services. Tankless water heaters in Boston, on the other hand, can eradicate this problem of wasted energy. You will significantly lower the amount of energy you use in your home just to heat hot water. 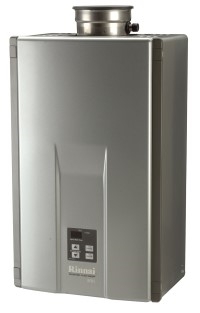 Tankless hot water heaters heat water only when it is needed. They use coils that are located near faucets. By heating water instantly when you need hot water, Tankless water heaters use considerably less energy than traditional storage tank water heaters. Traditional water heaters store heated water in their tanks, then transport it to you when you need it. The farther away from the plumbing fixture you’re using the tank is, the longer it will take for hot water to reach you. By the time it arrives, it will have also lost some of its heat. This doesn’t just test your patience, but it also means that you’ll be wasting water as you wait for the hot water to reach you. Tankless water heaters are a perfect solution to this problem. They’ll help you ensure that you waste as little water as possible in your Boston home, which is better for you and for the environment. Most standard water heaters have a 6-year warranty. The average life expectancy of a standard water heater is 8.5 years. The manufacture’s warrantee on many Tankless Water Heaters is up to 15 years. In the time that you own a Tankless, On-Demand, Water Heater you could conceivably have owned as many as three standard water heaters. That is a substantial savings. For many homeowners in Boston, switching to Tankless water heaters is an easy decision, but there are a number of factors you should consider. They take up much less space. They provide hot water much more quickly and efficiently. Endless Hot Water for your family. You can’t run out of hot water with Tankless solutions. Available Rebates and Tax Credits for switching to Tankless Water Heaters. If you have a Tankless water heater installed in your home already, you know how great they are. Eventually however, Tankless Water Heaters, like all other plumbing appliances need to be repaired for some reason or another. When that time comes, rest assured the professionals at McMahon Plumbing & Heating will be here to provide you with expert Tankless water heater repairs in Boston. From temperature issues to leaks, our team has the experience, extensive training, and necessary equipment to ensure your Tankless water heater is running again in no time. Whatever you need in terms of plumbing services in Boston or the surrounding areas, McMahon Plumbing & Heating is the company you can rely on for prompt, professional services. If you are interested in installation or repairs for tankless water heaters in Boston, please call 1-800-431-5660 or complete our online request form.